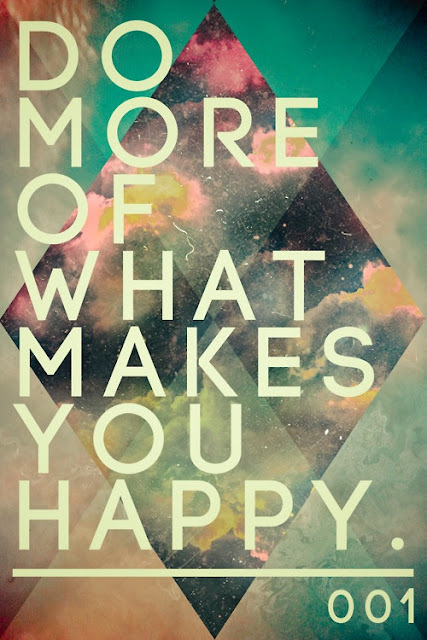 Do more of what makes you happy, seems intuitive and yet if someone asked you how much time you spend doing the things that make you feel happy, feel full and feel right , how would you answer ? When was the last time you sat down and really thought about what makes you happy ? So often we are caught up in the pursuit of keeping up that we get lost in the shuffle. For today, think about something that makes you feel happy and go and do it...everything else can wait because you owe it to yourself. You deserve to be happy and you are the only one who is truly responsible for your happiness.